One of the most important aspects of passing your Remote Pilot Licence and becoming a successful Remote Pilot is your Drone Instructor. AviAssist has carefully selected our Drone Instructors with your success in mind. Every AviAssist Drone Instructor has extensive commercial aviation experience and the skill to pass on their wealth of knowledge. The ability to make a foreign concept simple, whilst instilling good aviation safety culture sets AviAssist apart. The aviation industry is unique. Unlike many other industries where things are black and white, aviation is not always as straight forward. The tips and tricks provided by your Drone Instructor will help you navigate the peculiarities of the industry, winning work where others say no. AviAssist strongly believes the best method to deliver the Remote Pilot Licence course content is face to face. This allows your instructor to contexualise information towards your future applications, ensuring your success. Your Drone Instructor will guide you through each of the modules and answer, in detail, any questions you may have. Should you have any upcoming tasks you are unsure of, bring in the details for discussion. Quite often the first job is the hardest. 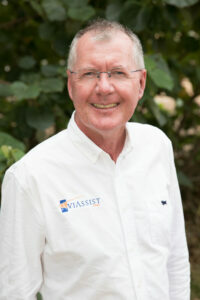 Your AviAssist instructors stick by you well after the 5 days it takes to complete the course. Through the Aviassist online learning management system you will have access to the team’s wealth of knowledge for 12 months after course completion. After the 12 months, you still have read only access to all of the course material including the latest revisions. AviAssist Drone Instructors are passionate about their job and genuinely interested in your success. We welcome you to join the AviAssist family. Aviassist is proud of our passionate and professional team. 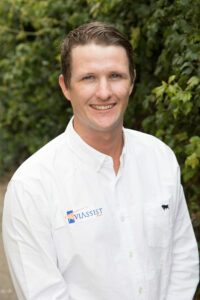 Liam Outram is a commercial RPAS Instructor and piloted Fixed Wing Pilot/Instructor. Liam has a Bachelor of Science (Aviation) and Graduate Diploma in Flying. 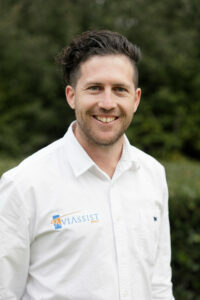 Based in Perth, Liam leads Aviassist drone training Perth. Liam gained his Commercial Pilot Licence (Fixed Wing) in conjunction with a Bachelor of Science (Aviation) at Edith Cowan University. Attributing his passion for aviation to watching Top Gun as a child, Liam followed his passion and became a flight instructor at Jandakot airport in Perth. 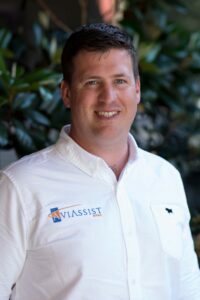 Joining Aviassist in January 2018, Liam brings a wealth of aviation experience to the Aviassist team. Liam has had an interest in Remote Aircraft since childhood. With the ever increasing popularity of Remote Aircraft in Australian business, Liam sought to put his aviation related knowledge to good use in a bid to create safe skies for all. Conducting drone training in Perth with Aviassist fits perfectly. Liam looks forward to seeing drones being regularly used in the emergency service roles. Aviassist’s Remote Pilot Licence training Perth facility is located in Osborne Park. Aviassist is proud of our passionate and professional team. Rowan Kimber is a commercial RPAS (Remotely Piloted Aircraft Systems) Instructor and piloted Fixed Wing Instructor. Rowan has a Bachelor of Law (honours) and is an award winning lawyer specialised in Aviation and drone regulation. Based in Melbourne, Rowan leads Aviassist drone training Melbourne including regional Victoria and Tasmania. Rowan commenced flying in 2001 at RMIT University in Melbourne. His first commercial flying gig was as a volunteer glider tow pilot in Benalla, Victoria. Rowan went on to work as a flight instructor in Melbourne prior to flying twins in the Torres Strait. Moving to Townsville, Rowan worked as a flight instructor and charter pilot. Rowan progressed to become the Chief Pilot of the charter side of the business and spent several years flying around North Queensland in various types of general aviation aircraft. 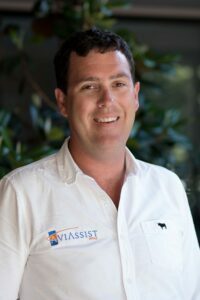 After some time in the legal profession, Rowan joined the Aviassist team in September 2017 as a RPAS instructor based in Melbourne. Rowan is also the proud owner of a De havilland Tiger Moth, a World War 2 training aircraft. Rowan believes that RPAS are the natural progression for the aviation industry and will, in the not too distant future, replace all prior forms of aviation. He would like to help shape this new side of the aviation industry and help RPAS become the successful tool they are capable of. Naturally Rowan favours air law. The reason Rowan became a lawyer was that he was working as a Chief Pilot, responsible for legislative compliance, and had little idea what the legislation was actually saying. It is easy to naively think that the law is a simple common sense reading of the legislation. The more law Rowan learnt, the more he realised what the law actually required and the liability imposed on everyone involved in air operations. Rowan states ” Everyday I hear about operators who see the law as nonsense barrier to their commercial endeavours. The legislation is there for a reason and doesn’t need to be a barrier.” The way Rowan sees it, know the requirements and use them to your commercial advantage. Stay safe, stay compliant, stay in the air. Rowan loves the classroom. Every week there is a moment where students understand why he loves aviation so much and they begin to want to know more and more. By the end of the class they ask how they can get their piloted aircraft licence, at that point he says he knows that he has done his job. Rowan goes on to say “These people are the ones who will help shape the drone industry in a positive way” and Rowan believes it is his job to point them in the right direction.